It’s been said that only 20% of the U.S. housing stock is adequately insulated. 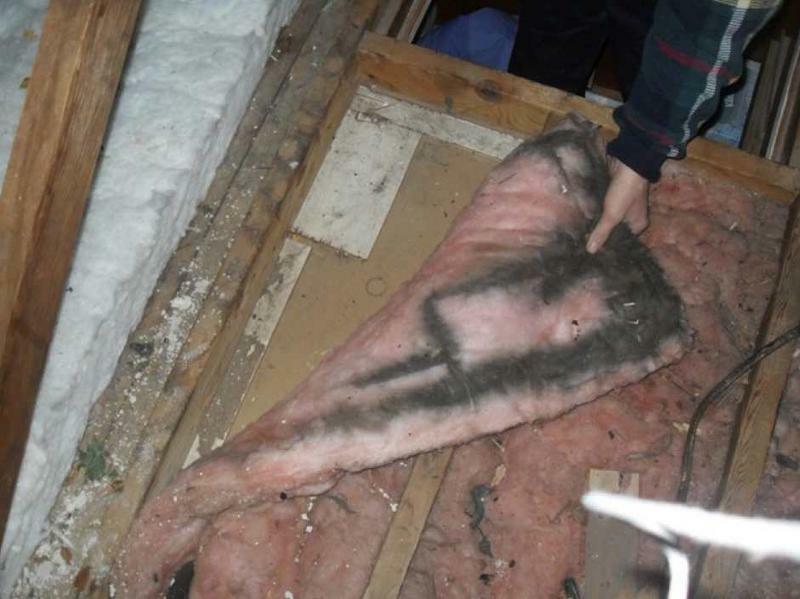 As you look at the insulation, you may see dirty or darkened insulation (see photos). That is an indication that air is leaking from the house, flowing through the insulation, and pulling dust with it. 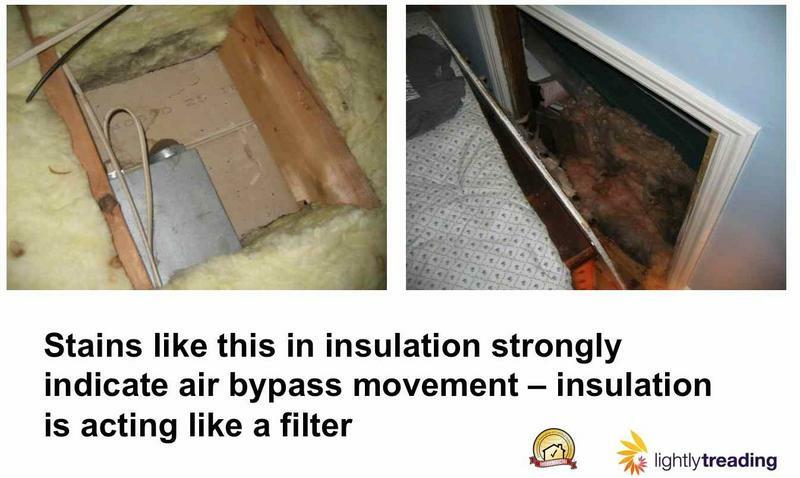 As we learned in http://www.nachi.org/energy-movement.htm, air can move through insulation, making the insulation act like a big air filter. There are 19 common air leakage points in a typical existing home. We have a guide that provides descriptions of the areas of the home most likely to have air leakage, when those problems should be addressed, the potential durability and health concerns related to those problems, and sources for more information. “Air Leakage and Air Sealing” guide is available at http://www.nachi.org/home-energy-inspection.htm (scroll down a little). dirt being filtered by the insulation.. Thanks Ben I will listen and let you know what I think. Vented soffits and top plates are a common problem in my area. How to inspect for darkened insulation is taught within our free, online "Home Energy Blower Door Training" video course. When air leaks, so does the money. You might inspect a hi-ef 90% gas furnace, and inform your client, "Great! You've got a very energy-efficient furnace here." If that 90% furnace is connected to the original 25-year old ducts, which are likely neither mastic-sealed nor insulated, then effectively that 90% furnace is performing more like an old 65% pilot furnace. Because leaking air is like losing energy. And losing energy wastes money--money your client could use to buy things they really need.